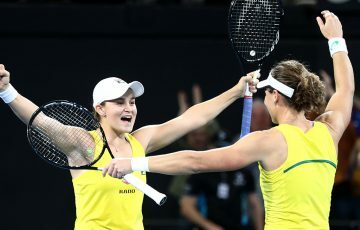 On Friday, Australian veteran Casey Dellacqua and teenage Ashleigh Barty will take to the court together in the final of the women’s doubles. 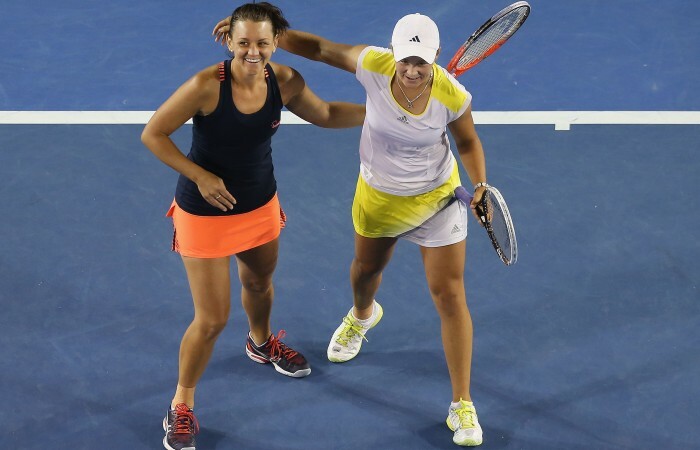 On Friday, Australian veteran Casey Dellacqua and teenage Ashleigh Barty will take to the court together in the final of the women’s doubles at Australian Open 2013. Not only are they the first wildcards to achieve this feat since 2007, they are the first local pair since 1977. It’s definitely a most welcome but somewhat unexpected turn of events for both girls despite the fact they have an enviable – albeit brief – doubles record together. 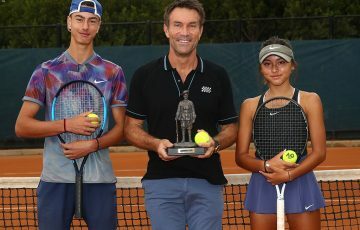 “I think deep down we did [give ourselves a chance to make it this far], but we didn’t know we did, if that makes sense,” Dellacqua said. 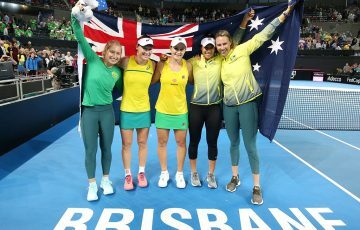 To date, the pair has lost only once, at the semifinal stage in Brisbane, where US duo Raquel Kops-Jones and Abigail Spears got the better of them – but only after the Aussies held match point. Prior to that, they won a title together in Toyota, Japan, cruising through the event without the loss of a set. They have also made their run to the final here without dropping a set, along the way toppling third seeds Lisa Raymond and Maria Kirilenko. 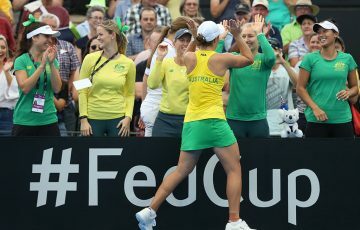 The momentum they’ve built was formally acknowledged today when newly appointed Federation Cup captain Alicia Molik announced their inclusion in the Australian team to take on the Czech Republic in February; the first time Barty will represent her country. The secret of their success thus far appears to spring from a number of factors. Firstly, they are a lefty-righty combination, giving them plenty of options on court. 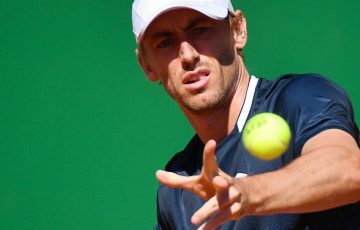 Interestingly though, they play with their forehands on the inside, but both maintain the set-up works to the strengths of their respective games. Furthermore, Dellacqua possesses a world-class return of serve among other crafty weapons while Barty brings to the table a refreshing mix of power and youthful exuberance – or “fearlessness” as Dellacqua calls it. 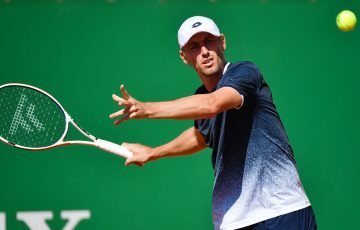 Experience counts for much too, and, at 27 years of age, Dellacqua has a proven track record in doubles, having won a French Open mixed title in 2011 with Scott Lipsky and also reaching the doubles final in Paris with Francesca Schiavone in 2008. Her understanding of the doubles court is among the best in the world, and Barty is no slouch either. At the tender age of 16, the girl who had her first ever win at a Grand Slam on her road to the final here is already showing great court sense. It’s a tremendous compliment for one so young. The nearly 11-year age gap is paying dividends as well. “Casey’s had so much experience,” Barty said earlier in the week. “So when the time comes, she can calm me down, and at other times, I can just say ‘let’s have a bit of fun here and give it a rip’’’. Dellacqua puts it more simply. “Somehow, a 16-year-old is able to make me play good tennis,” she said. The pair has continued to talk about the fact they are just having fun on court and this has been evident throughout the fortnight. They are obviously great friends and appear to be translating their pure enjoyment of the moment into results. Of course, let’s not forget, across the net from them in the final will be Italian top seeds Sara Errani and Roberta Vinci, right now the best doubles pair in the world and the reigning French and US Open champions. They were also here in the final last year, and know exactly what these big Grand Slam moments are all about. “Yeah, we’re definitely the underdogs,” Dellacqua said. However the final turns out, the scene is set for a fascinating encounter.